I like to go for rides as long as it's not in a car or van, they take you to the vet and well, you know the things they do! 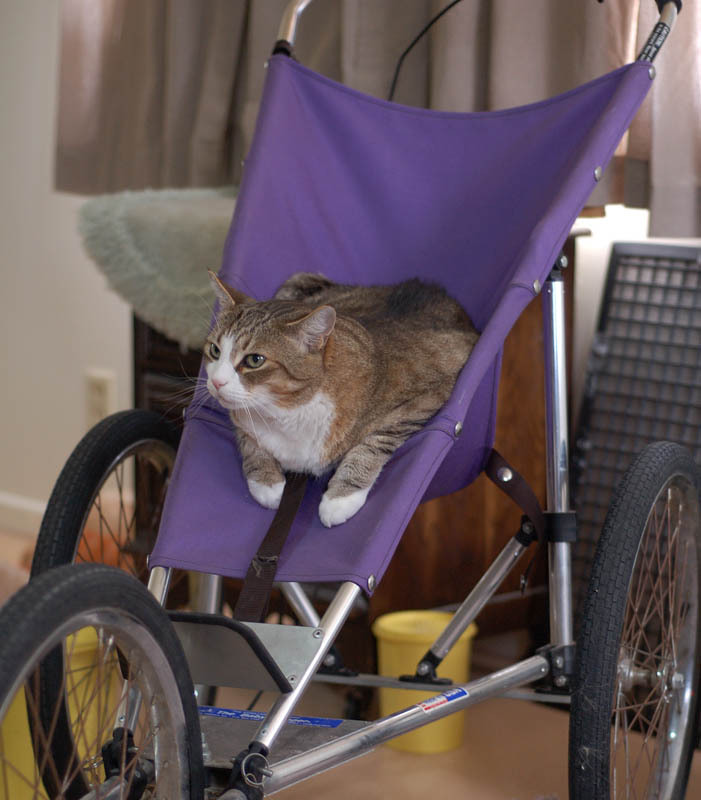 When we lived in town I had a cat mobile that I rode in. Jean says I'm too fat for this that I would bounce out like a rubber ball but I like it and I would hold on. Maybe she'll build me another cat mobile so I can get strolled around.